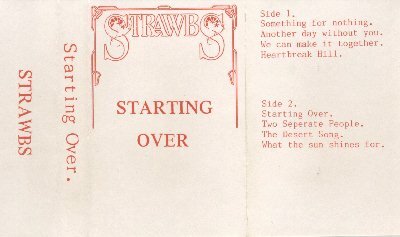 With a full-time keyboard player - Andy Richards - back in the band, Strawbs found a new lease of life in mid '78, heading back into the studio to record the first track for their new album, "Something For Nothing". Sadly, the scheduling for the rest of the album conflicted with Dave Lambert's plans for a solo album, and he departed, leaving the rest of the album to be cut with sessions axemen Jo Partridge and Miller Anderson. 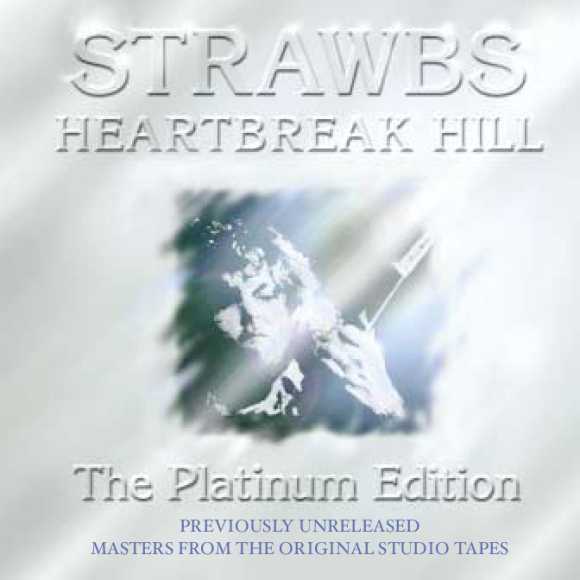 The title track and the complex "Starting Over" are particularly noteworthy, and the Strawbs rediscovered their sense of humour with the tongue-in-cheek "Desert Song". An excellent return to form, with Tom Allom back at the controls, it sadly remained unreleased when both the Strawbs' management and record deals fell apart. After a while (during which Dave and Brian Willoughby hit the folk clubs with their acoustic set), a 1980 deal with Elton John's Rocket label was almost in the bag, when Cousins himself left the band to work in local radio. Substituting Roy Hill as front man, with Cousins' blessing, lasting only for two shows, failed to halt the demise of the band. Plundered for material for 1987's Don't Say Goodbye, prized copies of cassette tapes sold at gigs under the title Starting Over, see versions page circulated amongst fans until released officially on CD in 1995 via John Tobler's good offices at Road Goes On Forever. The cassette and initial CD versions of the album were taken from the best source then available to the band. However, 2006's re-issue benefits from being taken from the original master tapes which were apparently retrieved from a skip! There's also a bonus track, "Something Or Nothing (The Whiplash Mix"). *** "Let It Rain" is titled "What The Sun Shines For" on the Starting Over cassette.